Mudras are the magic of the yoga world. These hand gestures can have a profound effect on a person in a matter of seconds. Whether you know it or not, you are already using mudras. There is the peace sign, the index and middle fingers extended, which instills a sense of peace. Or the wishing mudra, crossing your fingers for an expected outcome. The most familiar of mudras is the one that some use while driving, the extended middle finger, which expresses aggression and anger. Indu Arora, master Yoga Teacher, Yoga Therapist, and Ayurvedic Clinician, shares the ancient wisdom about why mudras work the way they work and how to use them in her beautiful book Mudra: The Sacred Secret. Mudras have been used for thousands of years as a part of ritual in many cultures. In yoga, mudras are used to direct awareness and energy. Indu says that mudras help the “mind to retain the awareness of an idea without the aid of any verbal representation or mantra.” For example, a gesture like the peace sign (also known as Happy Buddha Mudra), helps to instill a sense of calmness, yet uplifts energy at the same time. We need not repeat the word peace nor visualize peace to have the experience of calm uplifted energy; although visualization and sound can enhance the practice. Mudras are also beneficial, as Indu says, “even if performed without an understanding of their deeper meaning.” As a yoga professional, I often lead mudras in yoga classes as a part of centering and in yoga posture. Out of this direct experience a student or client can have a profound transformation without knowing the name of the mudra or the reason for practice. But knowing the benefits can sometimes enhance the effects for the practitioner. For yoga professionals, this knowledge and understanding is essential, especially if they are applying yoga therapeutically. 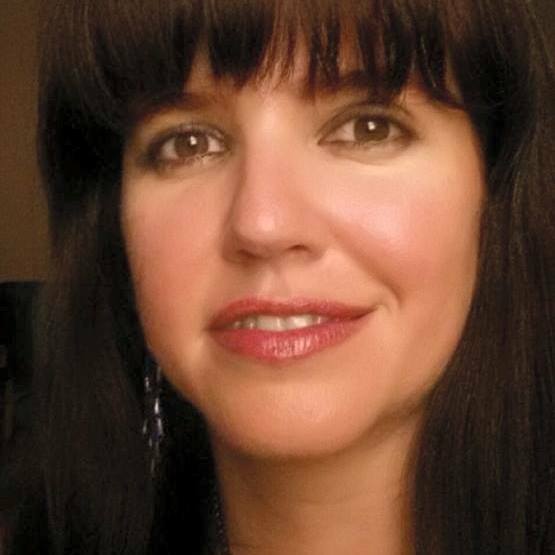 Indu explains how to practice mudras therapeutically, which is different from a general practice of mudras. She demonstrates, via pictures, the different positions one may take for the practice of mudra. Information on time, place, duration, diet, pressure, age group, hand position, and breath is also included. Indu is so thorough that one can read this book and, without other instruction, be able to practice the mudra. The section on therapeutic mudras gives information about the practice of mudras for specific issues. For example Mushti mudra (make a fist with the thumb on the outside) is a mudra for strength and willpower. 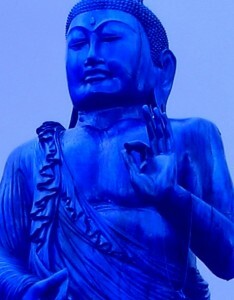 Indu says that the mudra activates liver and stomach energy, promotes digestion, helps relieve constipation and “helps in strengthening the willpower and brings confidence.” For those working with issues related to confidence it can be empowering to know that you can practice a hand gesture in addition to all of the other work you may be doing. This book is beautifully laid out. After beginning with a definition and explanation of mudras, Indu goes in depth into the history of mudras, the meaning of each finger, the relationship between Chinese meridians and nadis (the energy channels in yoga), the psychology, philosophy and science of mudras, and guidelines for practicing. If you are someone who practices mudras, this book will enhance your practice by providing more information. If you do not have a mudra practice, this book will give you all you need to know to begin. As someone who practices mudras, I found this book to be of great help. Part Two of this book contains pictures, directions for practice, and explanations of the mudras. 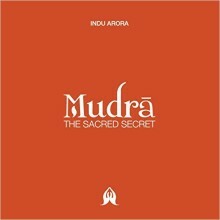 Even if you don’t practice mudras, Mudra: The Sacred Secret makes a stunning art book that will look beautiful on your coffee table!